I’ve been wanting to get inside this mosque for awhile. While it’s perfectly acceptable for a non-Muslim to enter, I never really felt comfortable on my own. On the eve of Hari Raya, the day that marks the end of the fasting month of Ramadan, me and my friend went to mesjid raya (grand mosque) and ate sate padang outside the gates. She told me she would take me inside so we could take photos. This would be the second mosque I’ve been inside. The first was the national mosque in Kuala Lumpur. Very few are open to non-Muslims in this world but Indonesia and Malaysia seem to be pretty open about it. We took off our shoes and entered. She told me to come with her into the prayer area but I didn’t feel comfortable doing that. I have no real connection to the faith, where as at least inside a church I know what is acceptable and what is not. It’s the same way I feel inside of a Buddhist temple. It’s kind of an awkward experience. The inside was quite ornate. She took my camera and got few photos for me. 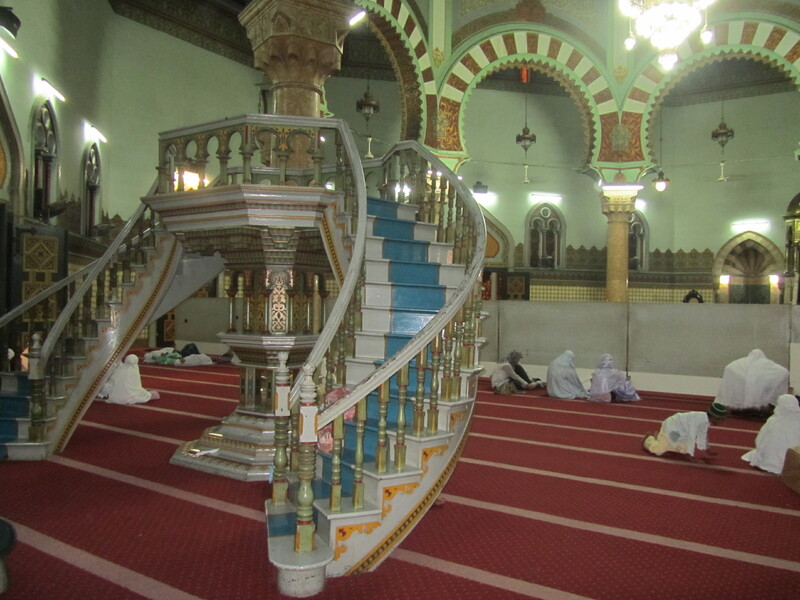 The prayer areas are separated by gender with a makeshift wall in between. The loud speaker from the minaret was calling “allahu akbar!” (God is great) repeatedly for several minutes. 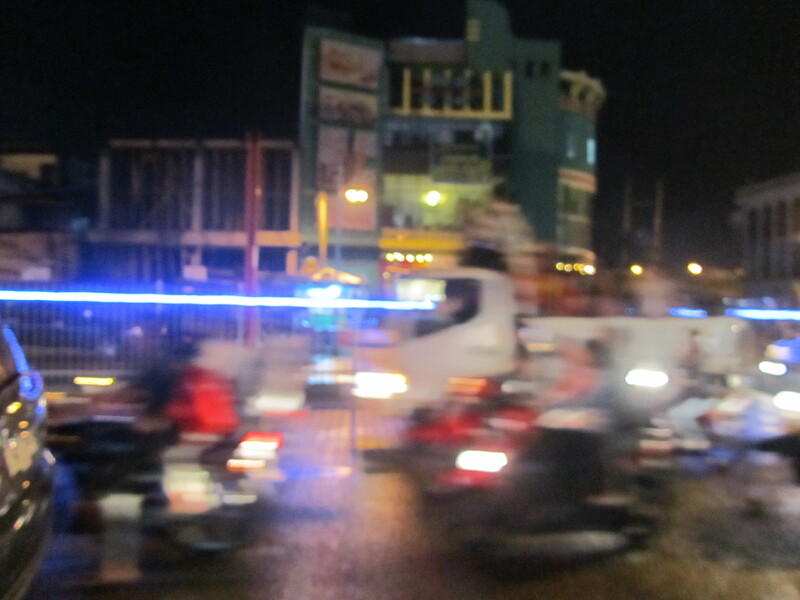 It was raining at first so there weren’t too many people in the streets but after the rain stopped the motorcycles, cars and parade floats took to the streets for a carnival like atmosphere. Some trucks were rigged with loud speakers with young Muslim boys reading from the Koran. Other vehicles had truck beds full of children and adults shouting “Allahu akbar!” It was an interesting experience. A month full of fasting had finally ended and Indonesians were celebrating with the rest of the Muslim world. 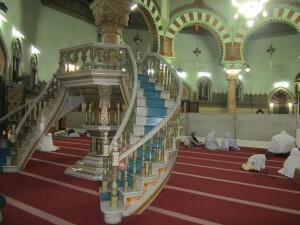 This entry was posted in Indonesia and tagged grand mosque, mesjid raya, mosque by jtafuro. Bookmark the permalink.